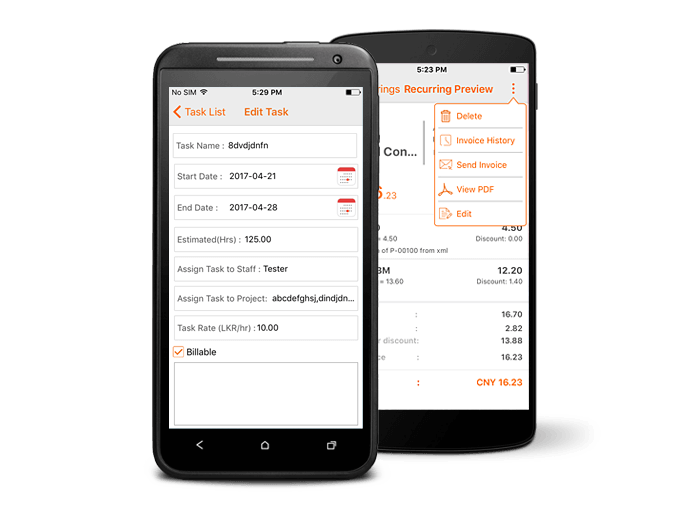 create invoices on the go, log your project hours, calculate expenses and much more with the Invoicera's Invoice app for Android. 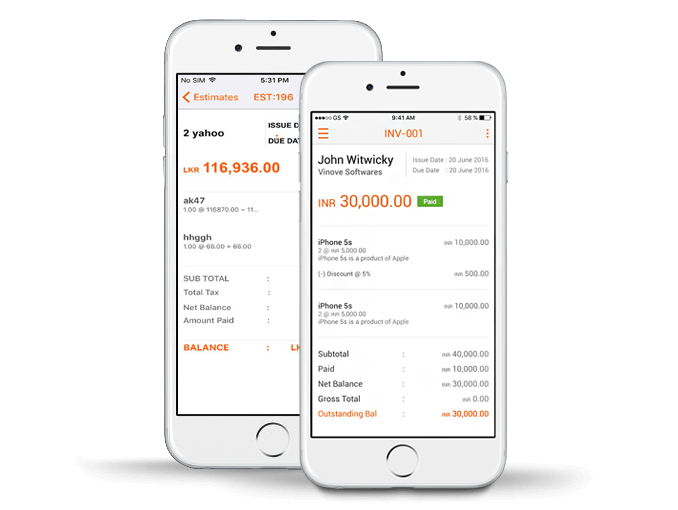 Quickly create, manage and send professional invoices on the move with mobile invoice app. Calculate the estimate of varying projects on the run. Convert estimates to invoices and send to clients. Invoice clients in the language and currency of their choice. Manage recurring subscriptions on a regular basis. Control the type of billing, usage or product expiry. Add, manage or categorize tasks, set task priorities and manage projects with ease. 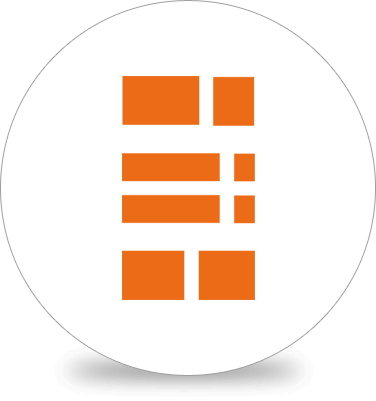 Manage clients and their invoices from a single dashboard. Manage client estimates, invoices, purchase orders with ease. Keep updated with important updates, seamless notifications, activity feeds. Just select a client, choose a product (and quantity) and click Send. Simple to track log hours and add descriptions to the same. 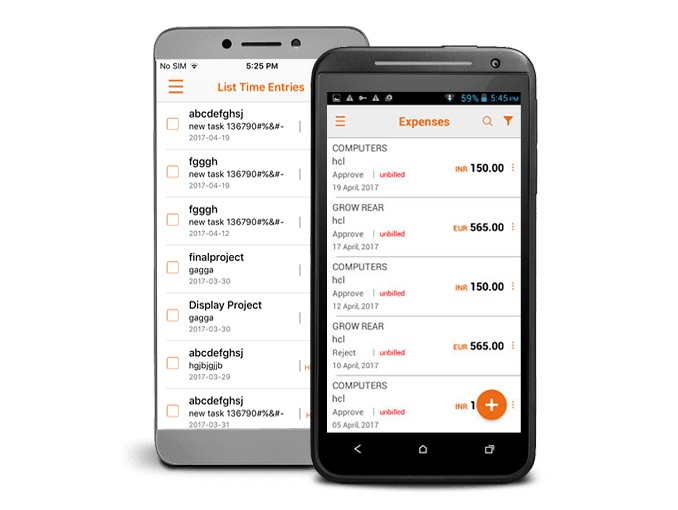 Improve business ROI with automated time entries with this billing app for android. Record and track your expenses. Determine the exact billing hours and business expense editing. Calculate the estimates and share the same to the clients while on the go with best billing app for android. 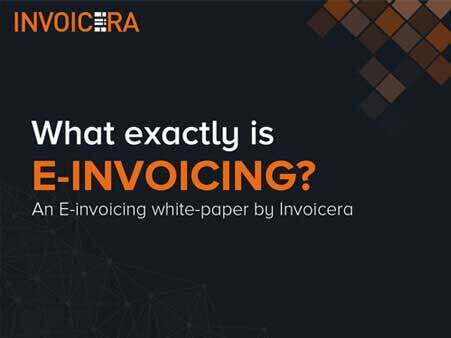 Mobile invoicing is a great way to stay ahead as most business owners take more business routines out of the office. 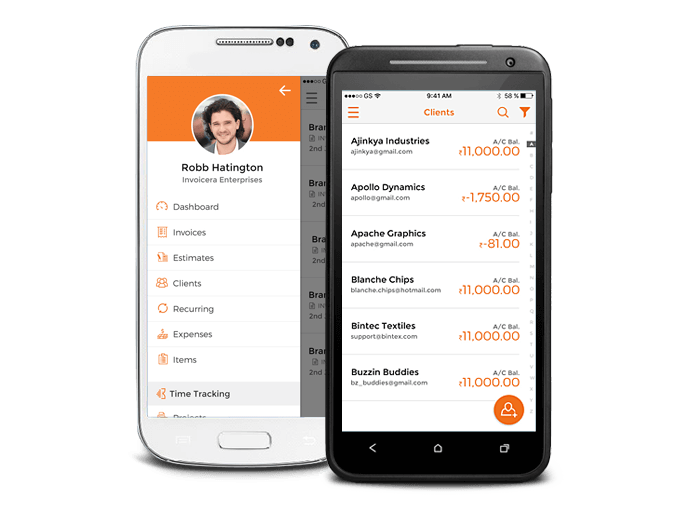 The mobile invoice app bills your client, monitor payments, track invoices, streamline processes and get paid faster. It provides your users to have complete business solutions with rich interface design to pave businesses to success.